Charles Won't Use Buckingham Palace When He Becomes the King! Prince Charles plans to turn Buckingham Palace into an office, museum by the heir to the British throne, Prince Charles, Australia's news.com.au has recently reported. Quoting sources close to Prince Charles the Ausie news media said that Prince Charles won't move into Buckingham Palace when he becomes the king. Here is the story the Australian media's staff writer Johnny Oleksinski. 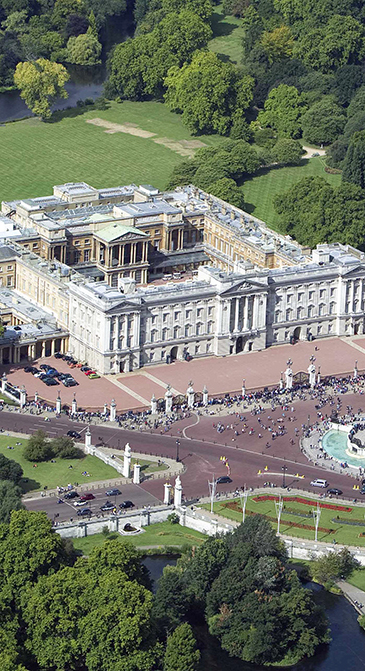 The heir to the British throne wants to drop Buckingham Palace as the top royal residence when he becomes king, sources have told the Sunday Times of London. According to the Times, the prince believes the palace is “too large and costly for modern family life” and is “not sustainable” from a cost and environmental perspective. They also said Charles relayed to his staff that he plans to remain in London’s Clarence House with his wife, Camilla, where the couple is “very comfortable”. Charles’ son Prince William is said to agree with his dad that the 775-room palace is too big and too expensive for a family house, and would rather see it function as a royal office, as well as being more accessible to the public — perhaps as a museum. The palace is currently only open to the public from late-July to October when the Queen is in Balmoral on her annual vacation.